Chambrair PROF 200 | Chambrair Grand-Duché S.à.r.l. Generosity, individuality and technical perfection characterize the Chambrair PROF 200 climate con­trolled wine cabinet. 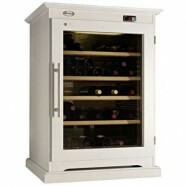 Its tailored appearance is also ideally suited for professional wine storage in the catering trade. For sophisticated needs during private moments of pleasure the PROF 200 cabinet is likewise an excellent choice. For red, white and fine sparkling wines the professional Chambrair range offers optimum tempera­ture control corresponding to undisturbed long-term storage in natural wine cellars. Both the outside and the interior can be completely designed to suit your wishes and preferences. The panelling is available in different colour shades. 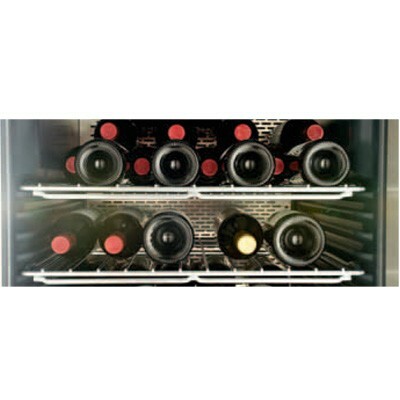 You can individually specify the division of the grids and climate zones inside the intelligent wine cabinet and flexibly adapt them to your personal requirements. An integrated lock provides additional security for particularly sought-after digestifs and wines. 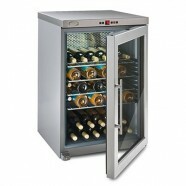 The VibraStop and WhisperNoise technologies also permit vibration-free and almost silent storage of up to 200 bottles. 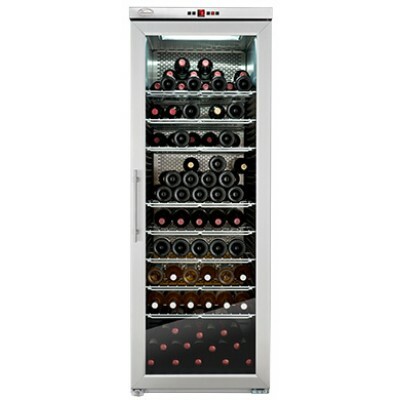 The PROF 200 climate controlled wine cabinet can thus be excellently integrated into the furnishing of guest and conference rooms.